The search for the ideal Toano Tree Removal Company doesn't have to be a challenge. In fact, you've actually already come to the right place. That's because for well over three decades now, the C.S. Flournoy crew has been hard at work doing whatever it takes to get the job done. This means offering the finest in craftsmanship as well as customer care. You can't last over 30 years in any business without taking good care of your clients and at a more than affordable rate in Toano, VA.
That is because we never aim to just meet the needs of our clients, we focus on exceeding them. We want you to feel confident about the work you get from us. This is why you should never settle for less than the best when it comes to taking care of this, or any aspect of your home improvement or maintenance for that matter. Too many unqualified but self-proclaimed "experts" offer their services at a deeply discounted price. Of course you quickly come to understand why they don't charge much when you see the type of work they do. Don't take chances when it comes to taking care of your home; let our Tree Removal Company get the job done for you. If you have a job that requires Toano Tree Removal then you can call on us. Too many homeowners put off getting this type of work completed and that puts their home and property at risk. A tree that is dead or diseased is at risk of collapsing on your home, fence, patio, shed, pool, car or the neighbor's property. Don't take chances when it comes to any of this. You need to know you have a trusted and skilled crew to handle this type of tricky and important job for you. Removing a tree to save your home only to have some unprofessional crew drop the tree on your home is the last thing you need. Don't settle for anything but the best when it comes to taking care of your tree removal work. Your Toano Stump Grinding and removal specialists have the training and knowledge necessary to properly grind your dead tree stump on your property. Part of proper Stump Grinding is knowing which stumps are better left to grinding and which stumps when removed will provide the best aesthetically pleasing view of your property. 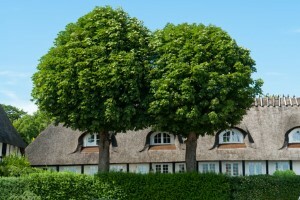 We will always shoot straight with you when it comes to determining whether you need tree trimming or removal. While other companies focus on pushing whatever will make them more money, we want what is best for the customer. We have earned the reputation we have for treating our customers with the highest level of respect, let us show you in person. When it comes to your Toano Tree Trimming, give us a call today. "I have used this company for over 20 years. They have taken out trees and branches from my large oak. They are always professional, punctual, and clean up after themselves. In fact the yard usually looks neater than when they arrived. The most recent work they did was cut down a dogwood and take out a large branch on my willow oak tree." If you are looking for a Toano Tree Removal Company then please call 804-264-1000 or complete our online request form.